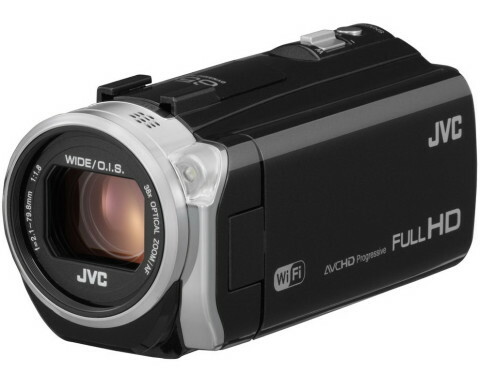 The JVC Everio GZ-EX555 camcorder is a compact, light and comfortable to hold camcorder that can capture Full HD 1920 x 1080 video and up to 8.3 MP still images. The GZ-EX555 features 16 GB of internal flash memory, enough for almost of 5 hour of HD recording in AVCHD Progressive video mode. An SD/SDHC/SDXC memory card slot is present to increase the storage space up to 64GB. The GZ-EX555 comes with a back-illuminated 1/5.8″ 2.5 MP CMOS image sensor and with a Falconbrid engine, that allow the camcorder to capture more detail with a decent low-light performance. The recording can be played quickly via a 3″ touch panel LCD. 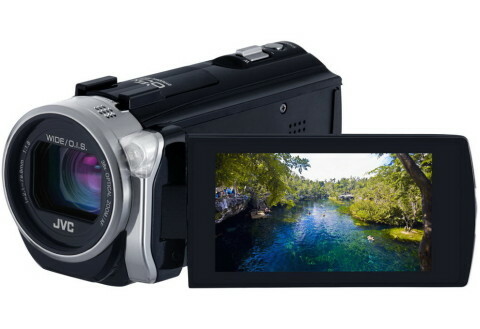 The GZ-EX555 also has a JVC HD wide angle lens that supports 38x optical zoom and that is equipped with an Optical Image Stabilizer with Advanced Image Stabilizer (A.I.S.) system. 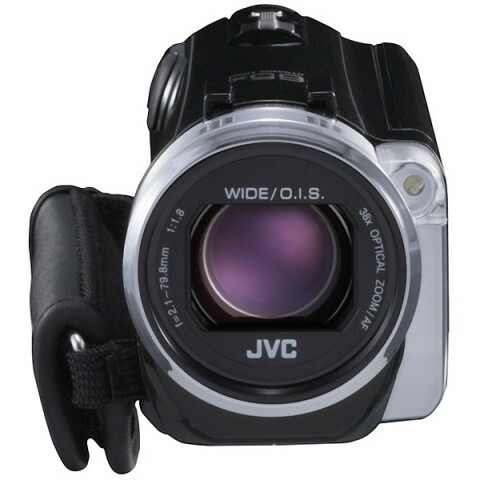 The JVC GZ-EX555 features Intelligent Auto, Auto REC and ultra-slow motion video as well as Face Recognition technology and Smile Meter/Smile Shot. A mic input, a headphone output, a built-in video light and an integrated zoom microphone are all present on this videocamera. The GZ-EX555 is equipped with Wi-Fi and has several wireless function, such as Live Streaming by Ustream, Live Monitoring, Data Transfer to tablet/smartphone/PC, One Touch Auto Backup to PC, etc. 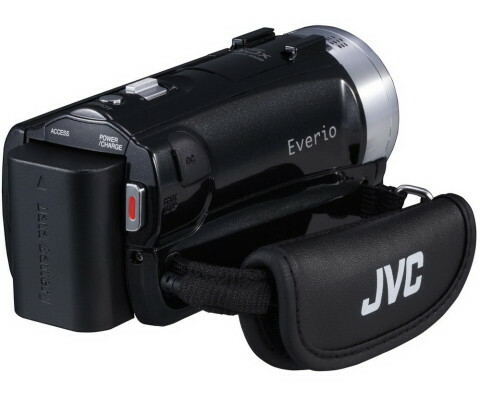 You can find more about Everio GZ-EX555 on JVC webpage or you can read a short GZ-EX555 review.